We often dream of the exotic realms of the Sahara Desert or the architectural beauty of Milan, but forget the countless wonders that surround our beloved Bay Area. 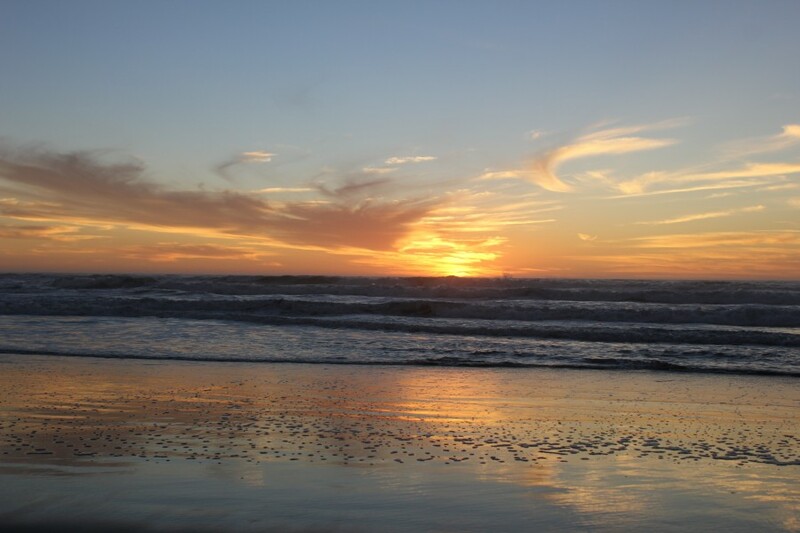 We don’t realize that just 25 miles away from the shore lies a marvel bordering the Pacific Ocean known as Ocean Beach. Public transportation allows us to easily reach this destination. From Berkeley, one can take the BART for 20 minutes to Embarcadero and then ride the MUNI for 40 minutes all the way to the western end of San Francisco. I deem dusk to be the most beautiful time to enjoy Ocean Beach. One can witness first-hand the clear blue sky transform as the sun sets, where the warm colors trickle down toward the sea. The hues of color are then carried through the ocean waves, reflected on the shallow waters at the shore and ultimately carried back to the depths of the sea. When I shifted my gaze north, I was able to see the mountains of Point Reyes far in the distance blend into the ocean waves. As I admired Ocean Beach, I was drawn closer and closer to the sea until I noticed that spume had consumed my khaki-colored boots. Ocean Beach’s scenic beauty wasn’t its only appeal. As I wandered around the shore, I noticed that the beach was populated by diverse crowds of families, photographers, couples and lone wanderers of all kinds. Regardless of their intentions at Ocean Beach, all of them seemed to greatly enjoy their own activities and appeared to have temporarily washed away their busy daily routines and worries. My favorite part about my short but wonderful visit to Ocean Beach was the bonfire that my friends and I had started once the sun vanished and the beach was left almost pitch black. The beach was dimly illuminated by various fire sites that were scattered across the shore. As we gathered around the bonfire, the fire gave a toasty warmth to my face. I attempted to make a s’more, but failed miserably, so I resorted to stuffing my face with roasted marshmallows. Being part of a bonfire gave me a sense of warmth — and not solely because of the heat emanating from the flames. Contact Stephanie Toussaint at [email protected].